A team of scientists have found an accurate way to immediately identify long term radiation damage by examining blood-bound genes, allowing more accurate predictions of who can survive radiation exposure after a nuclear catastrophe or a dirty bomb. 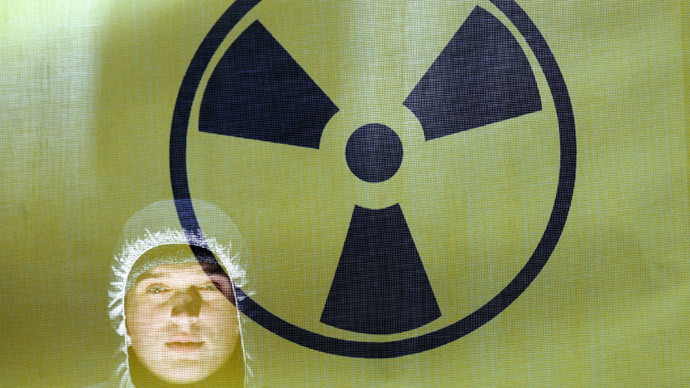 In previous nuclear incidents, such as the 1986 Chernobyl disaster in the USSR or the 2011 Fukushima debacle in Japan, doctors and scientists were unable to accurately diagnose the radiation damage a patient has been exposed to. They had to estimate the level of radiation poisoning by basing it on where someone was during a nuclear disaster or by taking blood samples and seeing how many white blood cells have died. Neither of these two techniques can differentiate between a deadly dose of radiation and a very high but survivable one. “After a radiation release, there is currently no way to tell who was exposed and who wasn’t, and if someone was exposed, is it lethal or not?” said Dipanjan Chowdhury of Dana-Farber’s Department of Radiation Oncology, the report’s senior author. Chowdrhury together with a team of scientists at Harvard Medical School and Montefiore Medical Center in New York City have found a way of telling exactly what radiation dose someone has had by looking at the genes in their blood. Their findings were published in the journal Science Translational Medicine. A tiny group of free-floating pieces of genetic information called microRNAs reveal how much radiation someone has received as well as the damage this will have on their body. The scientists subjected two groups of mice to 650 rads of radiation, which is a high but survivable dose, and 800 rads which is lethal. By any other means of analysis both groups of mice looked the same for the first two weeks after exposure, and it was only by testing their microRNAs that the scientists could determine which mice would survive. MicroRNAs were identified only 20 years ago. They help the human body translate DNA into a workable blueprint to build new cells. According to the new research, radiation actively alters the structure of the microRNAs in mice; the bigger the dose the greater the change. Only 68 of almost 170 types of microRNAs are in the blood, but the scientists found that by analyzing just a handful of these they could tell the amount of radiation damage someone had received in the first 24 hours after exposure. "All of the equipment used to detect these microRNAs is already widely available in many clinics. So there's no obvious reason that such a test would be expensive," Chowdhury said, as cited by Popular Mechanics. He is, however, worried that developing an emergency test for assessing radiation poisoning might take quite some time, as "unlike developing cancer drugs, this is not an area that's considered very lucrative."